2. Plug-and-play Simplicity – This has been a major driver for an increasing upsurge in corporate demand for serviced offices. Large companies have strongly embraced the concept of ready-to-move-in offices, expand or contract their teams whenever needed, and avoid complex contract negotiations. Moreover, no efforts on doing fit-outs and arranging for office amenities have made serviced offices a convenient option for many corporate occupiers. 3. Business Support Services – Remaining focused on your core business operations calls for a helping hand to handle various other fundamental functions, important for smooth functioning of business. A strong business support setup including services like taxation, registration & legal compliances, concierge, IT, HR, rider and more provided by space operators makes work easier for occupants and therefore is an important determinant for rising demand of serviced offices. 4. Attracting & Retaining Young Talent – Shared office spaces are home to various networking opportunities that make employees work in a collaborative & engaging environment. The exposure to new ideas, peers from different domains, and workplaces with contemporary aesthetics are the key differentiators that attract & retain millennials, the dominating sect in Indian population. Thus, various businesses are choosing flexible spaces over traditional offices to establish their teams. If you’ve been looking for a serviced office in India, get in touch with the largest and only Indian business centre with ISO 9001:2015 certification, recognized as ‘Brand of the Year 2018’ – Vatika Business Centre. 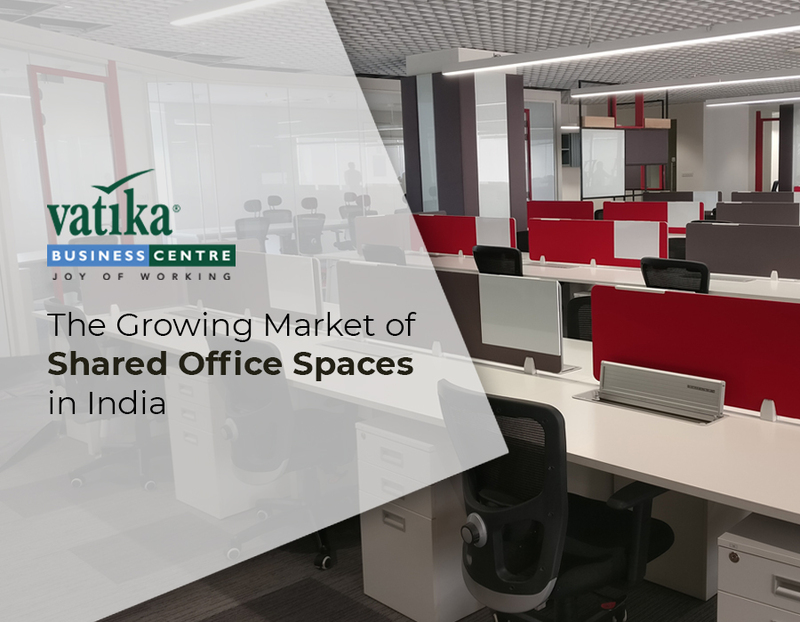 Vatika Business Centre’s thoughtfully designed spaces are established at key locations in A-grade buildings across 9 major cities of India. Equipped with cutting-edge technology including digital flipcharts, HD video conferencing, voice command based actions, app-based service bookings & security locks along with a strong business support setup, VBC has been imparting service excellence in the office space industry for the past 14 years now having served more than 200 clients.